Sometimes, it’s the simple things in life that give a person’s existence more meaning and happiness. Yet, with so many distractions and stresses in your daily grind, you can forget what those simple things are. Visiting Gigmoto, a municipality in Catanduanes (also known as the Happy Island), might just be what you need to remember how happy and fulfilling it can be to experience simple joys. 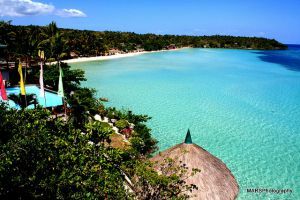 This locality may not bring in as many tourists as the surf spots in Virac, but it holds a charm of its own. Gigmoto is generally a hilly and mountainous area. The town gives off a sleepy and peaceful vibe. The elders of the town still practice old customs and social traditions. But this doesn’t mean it doesn’t have its share of surprises for travellers. As you explore the place, you will be delighted to discover simple but content people who appreciate and give thanks for bountiful gifts Mother Nature provides. Bathe in the pristine waters of Nahulugan Falls – This is one of the best natural attractions in Catanduanes, and many tourists brave the long and bumpy ride just to have a glimpse and experience this beautiful gift of nature. 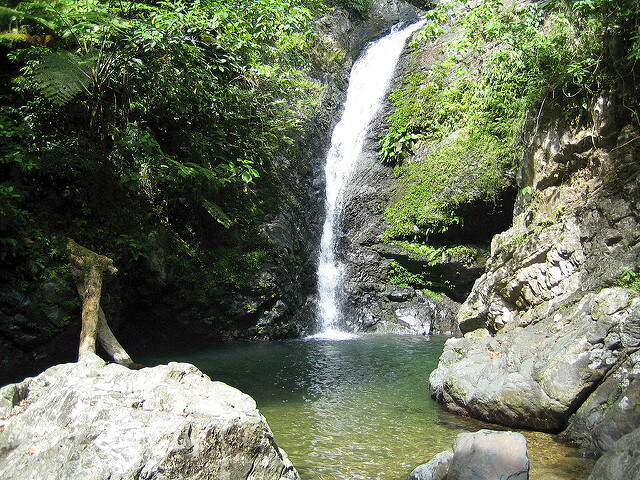 It is a three-tiered waterfall surrounded by lush greenery. The water is cool and clear, perfect for dips during hot weather. If you don’t feel like getting wet and just want to enjoy the view, you can sit back and relax in one of the cottages. Have a picnic at Dororian Falls – Another beautiful waterfall in the locality, with unspoiled vegetation and abundant wildlife. It was partially developed by the local government so swimmers and visitors can better enjoy the natural wonder. There are sheds and picnic areas, making it ideal for excursions. Join the Umasilhag Festival – If you happen to schedule your trip around May 14 to 15, you can luckily witness the local festival. Participate in the merrymaking and thanksgiving activities as the locals celebrate a good harvest of rice, abaca, and aquatic resources and rejoice in the endless blessings they have received for that year. Visit the other wonders in Catanduanes – Hop to Puraran Beach and surf, dig up some history at the Museo de Catanduanes and St. John the Baptist Church (the oldest church in Catanduanes), chill at the Carangyan Beach Resort located on a hidden cove in Pandan, or marvel at the breathtaking and unobstructed view of the ocean atop Hiyop Point (you can even ride a carabao to the top!). 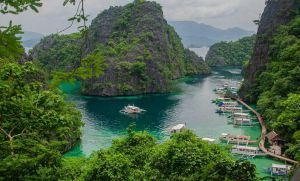 You can hop on a flight from Manila to Virac, and the trip takes about a little more than 1 hour. But if you’re feeling a bit more adventurous and budget conscious, you can travel by bus or boat. There are several bus lines that have air-conditioned coaches plying a Manila to Tabaco (in Albay) route. It takes about 10 to 12 hours, so catch up on some sleep or prepare plenty of onboard entertainment. From the seaport of Tabaco you can then take a ferry boat to Virac seaport (4 hours). And from Virac, ride a jeepney or bus going to Gigmoto (2 hours). Are you ready to rediscover your simple joys? Then plan your trip to Gigmoto now.